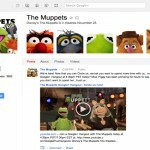 With the launch of Google+ pages for business last week, we’re starting to get a little lost in the tornado of social platforms that are a ‘must-have’ for business, I remember the days when brands were still deciding whether they really needed a website, and today the question is more about a Facebook page, a YouTube channel, a Twitter account and now Google+. The early adopters are already on the bandwagon as we can see with the first Google+ brand pages for Pepsi, Toyota, Angry Birds and of course the subject matter experts like Mashable and agencies such as Big Spaceship. So the question that a lot of clients now ask us is what the hell to do? What should my digital strategy be? What should my social strategy be? How can I use Foursquare and other location based services to increase my reach and amplification. Unfortunately it is never quite as easy as it seems – moving from the traditional approach of marketing to a new socially enabled, 2.0 world can’t happen overnight, it isn’t a simple a step as saying I want to ‘turn on social’ and make it part of my media mix (although this happens, and fails, quite a bit). Social marketing needs a whole new mindset, skillset and operational approach – to a certain extent it needs you to turn everything you’ve been doing on it’s head and put the customer at the core of your communication plans – I think this happened with products a while back when companies started looking to their consumers to guide them in NPD, now it’s taking over marketing. Having a social plan means understanding community management and content strategy – it means having resources to engage with consumers and the planning to develop and produce content that they’ll value. So what do we tell our clients? The clients that are gagging at the door of social media and not quite sure how to turn it on. Baby steps. A few simple steps to make sure that things happen in the right order, that they develop for the medium and long term and that they are inline with both their customer needs and business objectives – even in two lines that starts to sound like a big deal. Choosing the right properties and setting up the social ecosystem is key today. The conversation is happening in a multitude of different places, many of which are not within the ‘paid or owned media’ spheres, so understanding how they work, and how they can be influenced is the first step. For those owned properties, choosing them well, connecting them and delivering on a branded customer experience are the tablestakes for entry. Today the basic must-haves are still Facebook, YouTube and Twitter although there are many second tier players that risk changing the game – Google+ is one of them, and worth watching closely. Insight means so many different things and can use numerous tools – at its core, it’s about understanding the consumer behaviour online, where they are physically, what their needs are and the specific use cases around your brand online. So get dug into Facebook insights, engage with a WOM monitoring tool and start listening to the conversation – there is no substitute for first-hand research. We love to talk about content strategy and content marketing, but in a world of more and more clutter this really is the only way to get real engagement from consumers. Marketing needs to be about utility or entertainment and this is where content comes in, be it a magazine or an app or just some comic webisodes, content is king. Even for ‘brand campaigns’ I wrote a piece about how content and amplification are the new brand brief, there is nowhere that this isn’t relevant. Finally, engaging with customers and prospects on the social web is where the future is – this will replace the mass-media broadcast approach and takes 1-2-1 communication to the extreme of realtime, actual conversations, the challenge on the social web is that everyone is listening, so think hard about who you have behind the screen and how they talk to your consumers. It doesn’t look like Google+ is going to dethrone Facebook overnight, and as they continually iterate and improve on their products (the upcoming launch of timeline for brand pages will be another major step) there is still a long way to go before the mass move away from Zuckerberg and co – so for the moment try not to listen to the pundits who want to predict the death of Facebook (although it’s a great article on browsers, OS & social networks) and those who tell you the clutter will drive us all to Unthink – focus more on what your customers are doing and how you can take the baby steps to being part of the new social world. 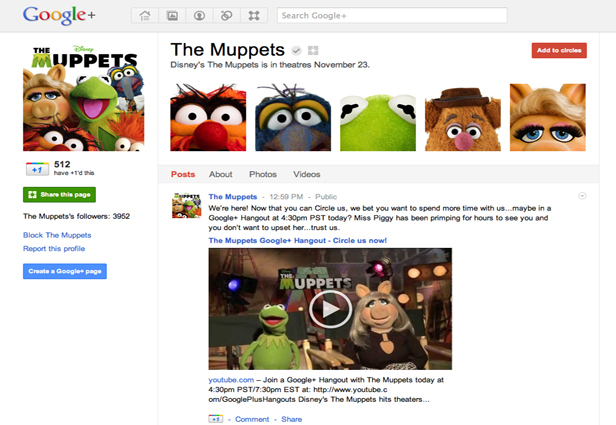 So now if you’ve understood the above, and got a handle on it too, then stay on top of Google+ and watch it evolve. A parting word – don’t forget your existing customers. The social revolution has changed CRM completely, from a black box emailing system to a conversation that everyone is listening to, suddenly your customers have become your most important communication channel yet – read What the CEO needs to know about CRM.